Today, street addressing has become indispensable for delivery services in both government and corporate operations. For your local government, location identification is necessary for public safety and for basic services. For private businesses, it's important for efficiency and profitability. The primary goal of the uniform county-wide numbering system was to provide a complete set of addresses for service area as required for the new County Enhanced 911 system. The object was to convert postal route and box numbers to numbered road addresses. By having rural homes numbered uniformly, it becomes as easy to locate a rural residence as a city residence. Every residence and business within Chenango County has been issued a new 911 address. You need to make yourself familiar with this number and display it conspicuously because you will be asked to verify it when you call. This number represents how far your residence or business is from the beginning of the road. Every road, located outside the city or incorporated villages, has been measured from south to north or from west to east in feet. 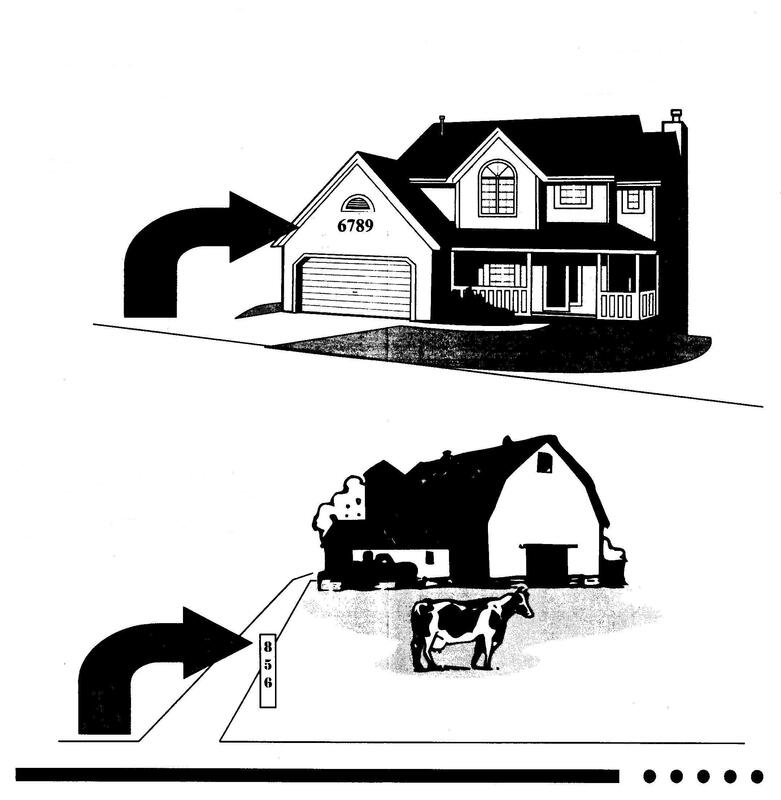 your 911 address is dependent on where you are actually located on the road. Every road begins with 101 and every 52.8 feet down the road a number is reserved, even numbers on the right and odd numbers on the left. You will need to establish your new 911 address before you will be able to connect any utilities or receive mail at that new location. The process takes approximately 1 week and can be started once a foundation is in place. We will measure the exact distance from the beginning of the road to your new residence. In order to ensure a timely response to your residence or business, it is critical to post your 911 address in a conspicuous location that can be easily seen from the roadway. NUMBERS SHOULD BE: At least 3 inches in height. A color that is clearly visible and recommended to be reflective.